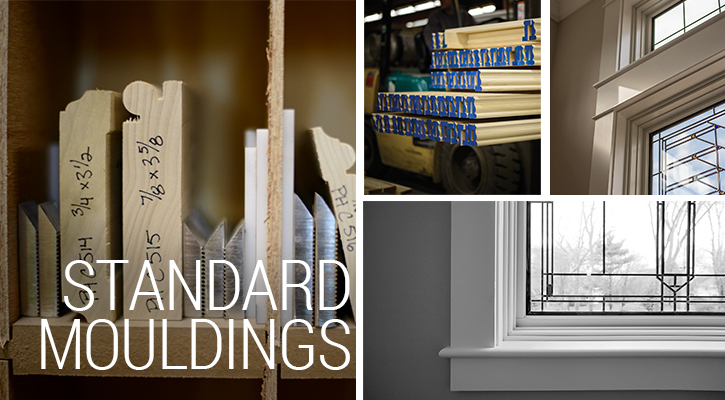 At Ponders Hollow, we can provide you with all the high-quality standard mouldings you need to complete your project, whether it's new construction, renovation or historic restoration. We'll guide you through the ordering process, so you're assured that you'll have everything you need and that the finished look will reflect your design vision. We have countless traditional and contemporary designs, as well as numerous wood species for you to choose from. Consider using our millwork in a different species from your floors to call attention to the architectural details of your room. You can also utilize the same wood for a seamless, harmonious look, or choose painted wood for a crisp contrast. If you need to match an old moulding or you have a special trim look in mind, our experts will use our state-of-the-art, in-house CAD program to develop what you need. Whether the moulding you choose are custom-designed or from our catalog, your order will be custom-milled to your exact specifications.